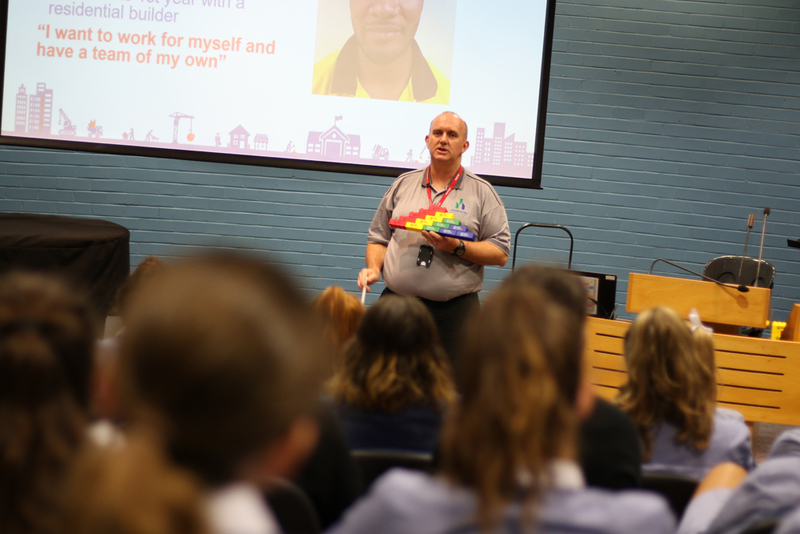 ‘Eye for detail, great communication skills and turning up on time’ – three reasons why Steve Magner from The Master Builders Association would employ a female ‘tradie’ over their male counterpart any day of the week! 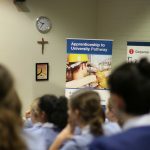 Whilst the number of women pursuing trades is low (less than two per cent of automotive, engineering and construction and electro-technology trade workers in NSW are female), the NSW Government is committed to increasing the number of women working in male-dominated trades. 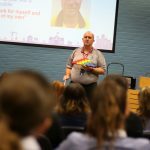 On this note Year 9 students heard about the many opportunities that are available for anyone who enjoys working with their hands. 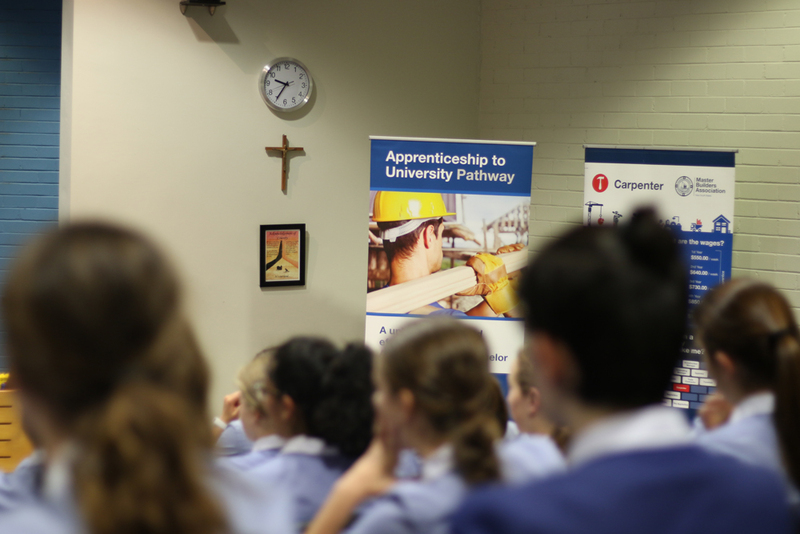 Both university and TAFE pathways are feasible options to pursue a trade. 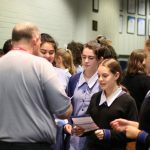 There was genuine interest from the girls showing it is valuable for all girls to hear about different career options and opportunities to ensure that everyone can pursue a satisfying career. For more information, contact Steve Magner – Master Builders Education Centre on 02 8586 3588. Year 11 are encouraged to make an appointment this term when things are relatively quiet! We have a number of tools and resources that can help with initial research and career pondering. Anyone can make an appointment with a careers advisor. We are usually in the office – located in the LRC – before and after school and at recess and lunch. Girls are most welcome to drop in to schedule a time or send an email indicating your availability. At the Open Day you will meet some of our friendly tutors over a cup of coffee, find out which course is right for you, meet our past and existing students and browse their fascinating portfolios, get expert advice on turning your passion into a profession. 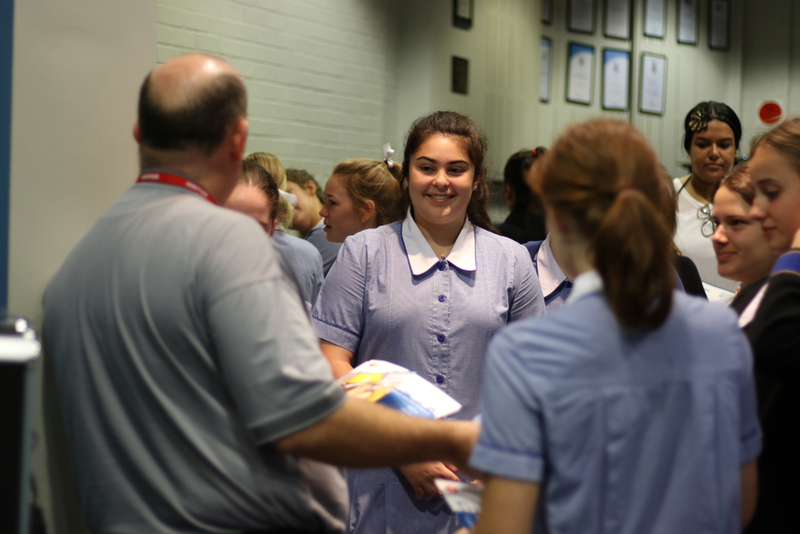 At Western Sydney, we believe hard work deserves its own reward – a reward that reflects your ability to succeed. If you do well in your subjects at school, we know you can go on to do well at university. Open to 2017 NSW HSC students, it makes an early offer for entry to a degree based on corresponding HSC subject band outcomes. Applications close Monday 11 December. Don’t miss Sydney University’s Info Day! To find out more and keep up to date with the day’s activities, visit the website. No matter what your ATAR, there are numerous opportunities available to you for university study. 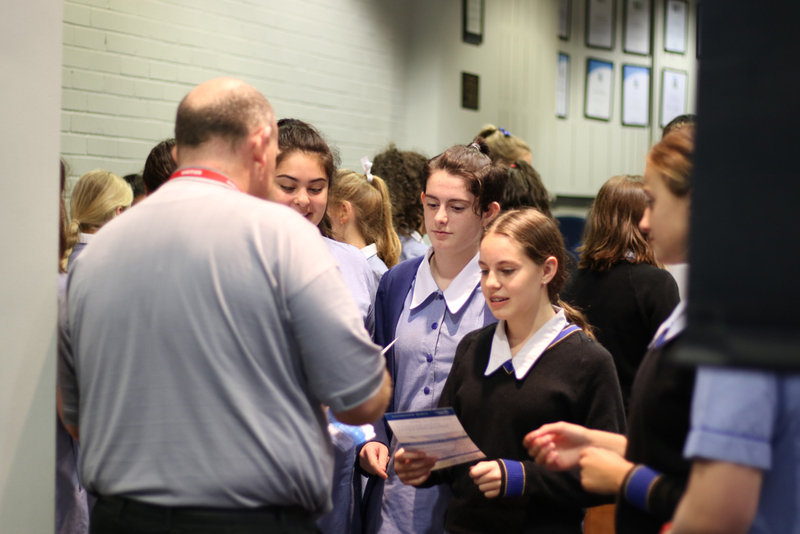 ACU will host ‘Know Your Options’ information sessions at both our Strathfield and North Sydney campuses.